September 27th 2015 marked our one year wedding anniversary. 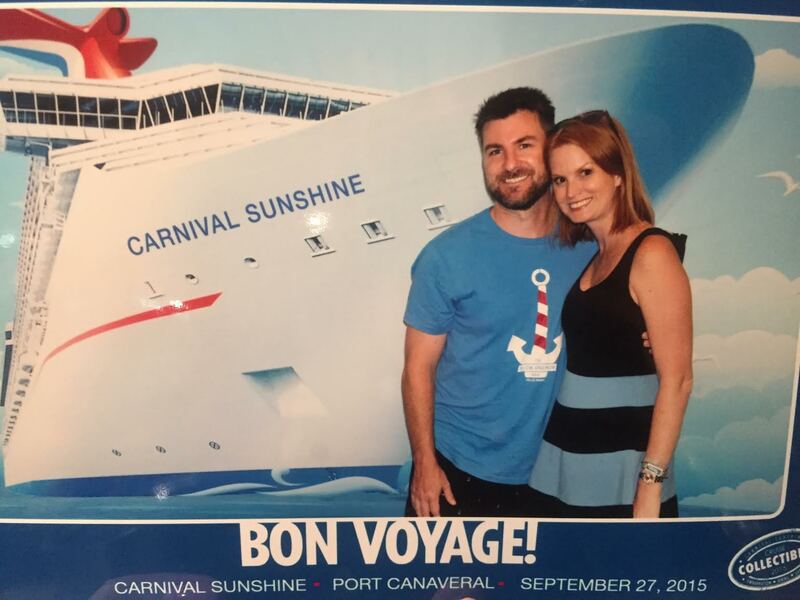 My Husband Gabe and I celebrated by going on a 5 night cruise on the Carnival Sunshine. The Sunshine was unlike any cruise I have been on (this was my 11th cruise and my husbands 1st). There were so many bars and restaurants to choose from that we only ended up eating in the main dining room once during the 5 nights! 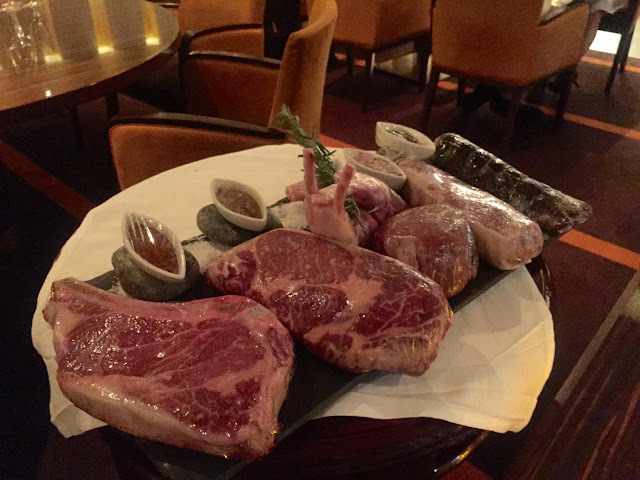 We departed on our anniversary and chose that night to do dinner at Fahrenheit 555 steakhouse. This was an actual restaurant on the ship which you pay an up-charge of $35 per person to dine at. It had a wonderful ambiance and was the perfect setting for our one year anniversary dinner. Farenheit 555 menu was a tough one to choose from. Our server brought out a tray of beef (literally) and we chose which cut we wanted. I noticed many of the restaurants on the ship had incredible drink specials if you dined with them on the first night out. Fahrenheit 555 happened to speak to my heart - a free bottle of red or white wine OR 50% off any bottle from their amazing wine list. Plus you could buy more and take it back with you to your room. I hit the jackpot! We selected a bottle of Le Crema Pinot Noir for our meal and brought back a few bottles to our room. I started off with the Ahi Tuna Tartar, dices of Sashimi Grade Yellow Fin Tuna Belly. It was absolutely delicious and I devoured it. It was the perfect lite appetizer to a large meal. Gabe started off with the Lobster Bisque with Vintage Cognac, Fleuron and Fresh Cream. He's a sucker for Lobster Bisque and this one did not disappoint. I ordered the Surf and Turf. Sure you can always expect to find this dish during Captains Dinner but that surf and turf is nothing like this. A Maine Lobster Tail paired with Grilled Filet Mignon. I had a hard time deciding between this or the larger filet. I made the right decision because that lobster was amazing! Gabe ordered the Grilled Prime Cowboy Steak, 18 oz. Rib Chop. It was perfectly seasoned and grilled. Although I was full, I had to order the chocolate sampler; Bittersweet Chocolate Cake, Banana Pannacotta, Tiramisu and Chocolate Marquise. I kept going back and forth as to which one I liked better. I think Chocolate Marquise won. Gabe ordered the Caramelized Washington Apples baked in a puff pastry dome. It was the perfect ending to a perfect meal. The night of our one year anniversary was also the night of the full Lunar Eclipse. 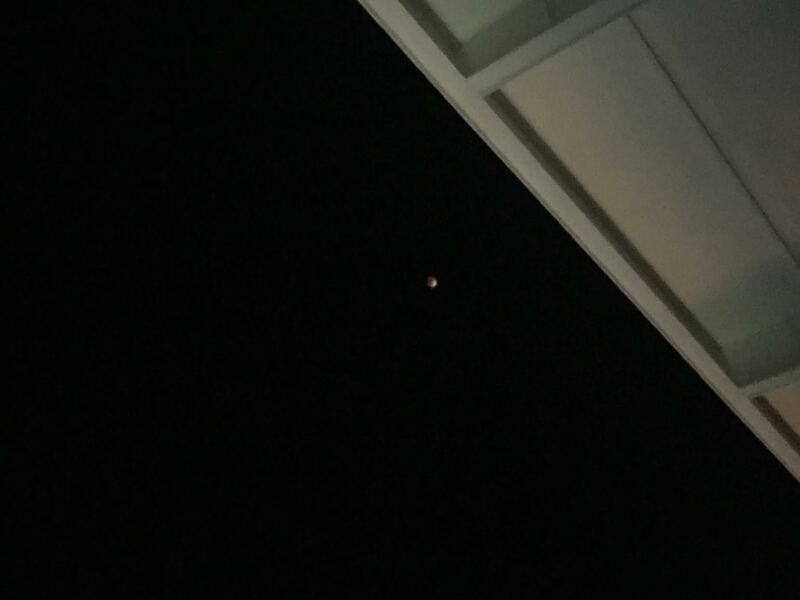 We could see it from our balcony stateroom and we brought our bottle of wine back to the room, watched the eclipse. There was an eclipse party on board but we decided to take advantage of the balcony views. After, we headed to the Casino, where my husband found a new love for penny slots. It was the perfect way to spend our one year wedding anniversary and I wouldn't change a single thing - except getting a photo together at dinner. Something I failed at. OOPS.